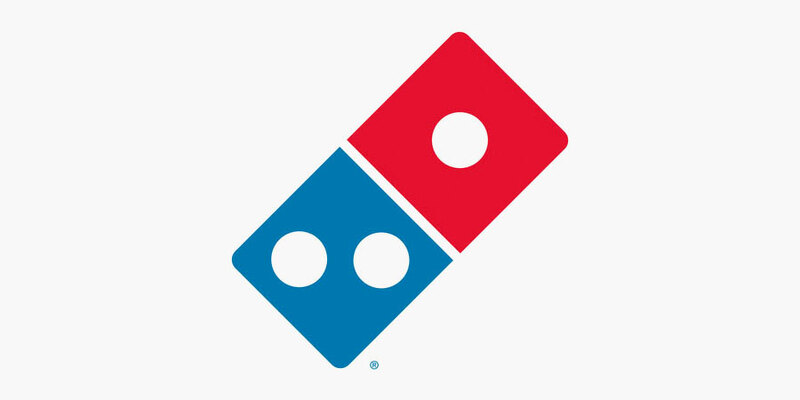 The Domino’s logo is particularly apt today, with news that one is leaving and two are coming up behind. As the dot at the top who’s exiting, Patrick Doyle (right) just performed the C-Suite equivalent of a mic drop by announcing that he will resign as President and CEO of Domino’s on June 30 and hand the reins over to the company’s president of international operations, Richard Allison. Along with announcing Doyle’s successor, Domino’s board is promoting Russell Weiner, president of Domino’s USA, to the newly created hybrid role of corporate COO and president of the Americas. In restructuring its leadership team at one of the strongest times in company history, Domino’s is a notable contrast to other recent turnovers in the industry. At No. 3 U.S. pizza chain Papa John’s, founder John Schnatter has exited the CEO’s role but remains chairman after recent comments and dustups in social media about the effect of NFL anthem protests on Papa John’s stalling sales. Meanwhile, Chipotle founder Steve Ells is also removing “CEO” from his business card while becoming chairman after stumbles following a series of unfortunate food-handling incidents. Domino’s, however, has gone from strength to strength, soaring ever-higher during Doyle’s eight-year tenure as chief executive, with the chain posting several years of consecutive same-store quarterly sales increases, lately in the 8- to 10-percent range. Doyle estimates that Domino’s became the world’s No. 1 pizza chain in sales, surpassing Pizza Hut, sometime last year. It’s also the acknowledged industry leader in digital ordering and innovative delivery technologies. Having achieved those and a few other goals that he set for himself at the beginning of his CEO tenure in 2010, 13 years after joining the company in 1997, the 54-year-old Doyle told brandchannel it’s time to stop and smell the roses for a while as he and his wife decide their next chapter. He also revealed that never planned to spend more than a decade in the top role at Domino’s. Meanwhile, his successor (right) joined Domino’s in 2010 and, like Doyle, cut his teeth at the company on international operations. Allison brought experience at other restaurant groups and also ran the restaurant consulting practice at Bain before joining Domino’s. We spoke with Doyle and Allison about the health of the brand and their respective views as the company’s outgoing, and incoming, chief executive officer. Patrick, I suspect you’re not just going to be brushing up on your golf game after you step down. Are you eager to get involved in a startup, say, or teach, travel, or consult perhaps? Doyle: I don’t know. I’m going to run hard here at Domino’s until the end of June and then take the second half of the year with my wife and put my feet up and figure what we’re going to do next. We’re very excited. Ultimately, it comes down to a couple of things. History shows that for public company CEOs, after 1o years their performance doesn’t tend to be as strong. I always had in my head ’10 years’ … I set goals that way for the company and we have reached those. The only things that are affecting timing in any way, shape or form are the company. None of it is personal and none of it is about what’s going on in external things. Reuters calls you Domino’s “turnaround genius” for presiding over a brand transformation that “improved the taste of the pizza, invested in online ordering and promotions, and fueled explosive share gains.” Credit Suisse calls Domino’s “one of the best” growth stories in retail and the brand’s growth story under your leadership is studied at Harvard. So (a) congrats! And (b) how would you summarize what you and your team were able to pull off since 2010? What are you most proud of? Doyle: I’m incredibly proud of the team and what we’ve gotten done. I have to go back to the press release: Our franchisees are thriving and excited and reinvesting in the business, and we are the largest pizza company in the world and we’ve done remarkable things as a team to differentiate our product and technology and our delivery service. It is all of those things. Domino’s has been at the forefront of pizza-ordering and delivery tech, from robots to IFTTT to ordering by voice or emoji or simply simply making your mobile app second to none. Are you happy with where the brand is today in terms of a seamless customer experience and being ahead of the curve and your competitors? Doyle: Part of what I think has driven our success is we view ourselves as a brand in progress. So while I’m proud of what we’ve accomplished, we have a long list of things that we think we can get better on with our customers and can continue to drive growth with us. I’m proud of the progress and there’s lots yet to be done. And Richard, congratulations to you on the international success and your new role! Patrick famously started his tenure by admittingthe core of the brand—the deliciousness of the pizza—was lacking, and making a very public effort to successfully address that. What will be your focus as you take over the reins? Allison: I’m very fortunate to start in a terrific position with the brand. Thanks to the leadership that Patrick has driven over the course of the last eight years, we’re the No. 1 pizza company in the world today and that’s a terrific foundation from which we can go forward. [The store experience] matters a lot because carry-out has become a bigger and bigger part of our business over time. There’s a lot of talk about delivery but in the U.S., for example, there is still two and a half times the number of carry-out pizza occasions as delivery [orders]. We have a big focus in stores and pizza theaters around putting stores closer to consumers’ homes—and creating an environment that’s welcoming to them when they come in. Technology will be part of that, such as ordering kiosks in stores and other tech that makes the experience easier, quicker and more efficient. Also, the investment in tech that we’re doing extends to the back of the house and our team members as well. We’re trying to make the job easier for them. Presumably one big advantage you bring in stepping up from the international role is your connection to the innovation pipeline that Domino’s has maintained abroad, which includes testing with delivery drones and robots in Australia and New Zealand? I’ve been to six continents and 70 countries. I hope to bring that broad experience from around the world [to the CEO’s role]. We have entrepreneurs all over the world who are trying different things. When we see good ideas happening, we don’t care who came up with it, we want to take those great ideas and propagate them across the system. We’re stronger for that breadth. Domino’s is strong in India, so I’m curious about your thoughts on China. What’s the appetite for pizza there these days, and is it still about catering to local tastes while also being where customers are, whether that’s virtually hanging out in Tmall, Taobao or WhatsApp? Allison: China is an interesting case for us. It’s a massive pizza market with a lot of potential and the one place Pizza Hut has been ahead of us for a long time now. We know Chinese consumers want to eat pizza. We’ve got just over 100 stores there, and they are performing very well. I’ve been over there personally five times in five years. The product is terrific; our image is great; we’re providing great service to the consumer. We’ve just got to build more stores.